The nature and extent to which the cerebellum contributes to language processing is not clear. 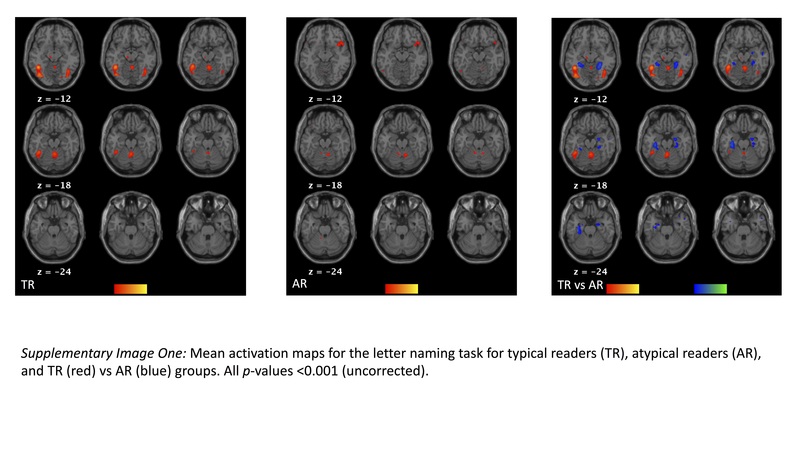 By using fMRI to examine differences in activation intensity in areas associated with motor and language processes, we advance our understanding of how this subcortical structure contributes to language and, more specifically, reading. Functional magnetic resonance imaging data was collected from two groups of adults. One group was classified as typical (proficient) readers, and the other as atypical (less proficient) readers. fMRI was used to measure cerebellar activation during silent reading and silent rapid naming tasks, which differed in degree of language and motor/articulatory processing. Regions of interest associated with motor and language processing were examined in order to compare how cerebellar activation in typical and atypical readers differed as a function of task both within and between groups. Significant differences in activation intensity were noted between individuals of typical and atypical reading proficiency in cerebellar regions associated with motor, but not language processing, during a silent word-reading condition. Additionally, readers who were less proficient showed no differences in activation between tasks in each of the regions of interest within the cerebellum. 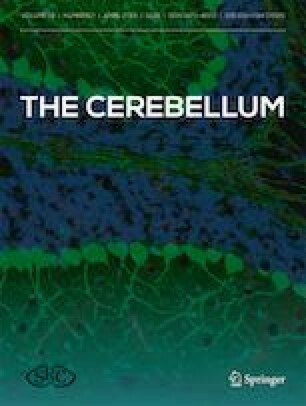 We provide evidence that, in typical readers, the cerebellum is functionally specialized for reading tasks that vary in language and articulatory processes. In accordance with prior research, we demonstrate that less-proficient adult readers show decreased functional specialization within the cerebellum during reading tasks. We also show that regions of the cerebellum associated with motor/articulatory processing are different between typical and atypically reading adults. Finally, to our knowledge, this is the first brain-imaging study to specifically examine cerebellar activation during rapid naming tasks and we discuss the implications for these findings with regard to current theoretical models that emphasize the link between reading and speech production. The online version of this article ( https://doi.org/10.1007/s12311-019-01024-6) contains supplementary material, which is available to authorized users. Balota DA, Yap MJ, Hutchison KA, Cortese MJ, Kessler B, Loftis B, Treiman R. The english lexicon project. Behav Res Methods. 2007;39(3):445–459. https://doi.org/10.3758/bf03193014. SPM8. Retrieved from http://www.fil.ion.ucl.ac.uk/spm/software/spm8/ (2009). Accessed 08 May 2018.